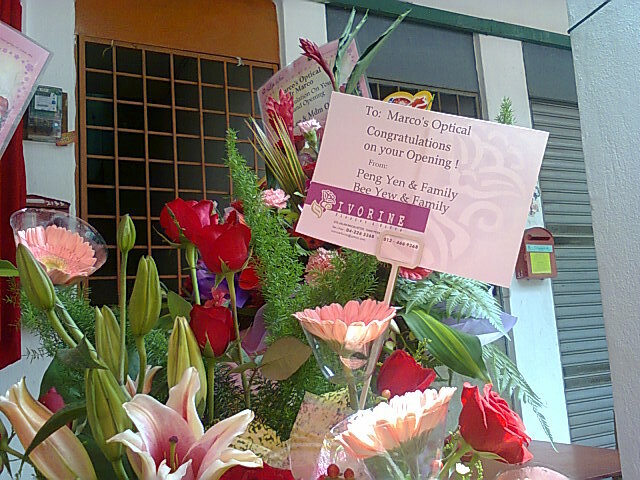 ceremony at Penang island. 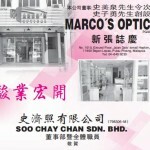 This optical shop is Marco’s Optical, name after his owner name. 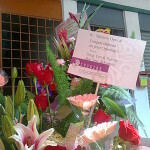 I was in Penang last week for attending an appointment at customer site. So happen to be informed that my cousin son is having an opening ceremony during the weekend at the place not very far from where I am staying, this make me squeeze sometime for this opening ceremony. 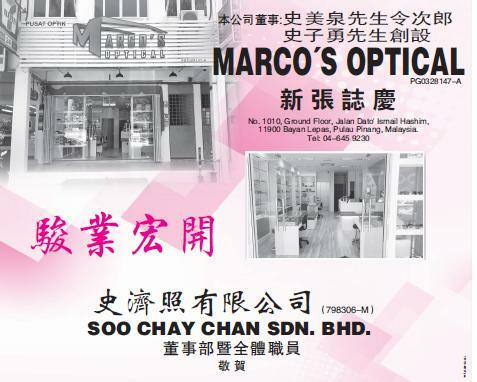 This optical shop is located at Jalan Dato Ismail Hashim, somewhere after pass by the army camp if you from Penang city. The place consider outskirt whereby nearer to airport, however it is surrounded by dense residential area. No doubt, it is having a great potential here. noon time. A self service buffet lunch was served for guest and customers. I thought a fire-cracker will be ignited in order to match with most of the Chinese open ceremony, but seems like Penang people is more civilize and they celebrate in other way. The shop lot is painted into bright colour incorporate with orange and blue colour. The white colour glass cabinet is stored with all kind of spectacles. There is also partition room which use for eye side examination. Starting up an optical shop is quite a challenging assignment, you need to involve in every expect, you are not only need to master the basic eyes examination skill but also shop decoration, identify the trendy products, customer communication and close a deal. I want to take this opportunity to thank you Marco for inviting me to participate the grand open ceremony and wish him all the best in his business.